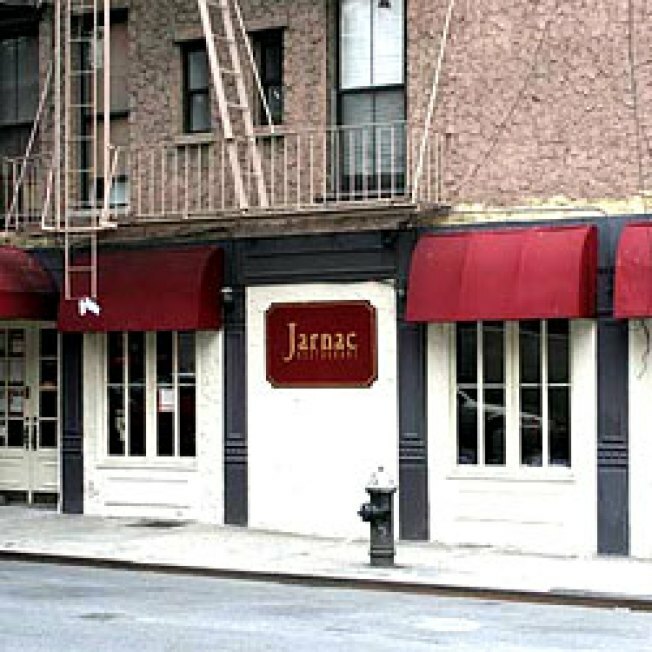 After a decade in business, Jarnac will close its doors on Saturday, June 27, according to a letter that owner Tony Powe tells us he’ll send out to friends and customers tomorrow. The letter, reprinted below, indicates that he and his partner, Maryann Terillo, couldn’t come to terms with their landlord. Powe is working on a new place in Brooklyn, and Terillo will eventually open a reincarnation of the restaurant along with Elisa Sarno, formerly a chef at Babbo. Here’s their au revoir. It is not only with sadness but also with our usual great optimism for the future that we’re dropping you this note to let you know that the days of Jarnac Restaurant as we’ve known it for almost 10 years are numbered. Given how busy we are, some you may wonder why we’ve decided we need to close. The reason is that, despite our success, we’ve been unable to agree a new lease with our landlord that makes sense for a restaurant like ours. Consequently we will be firing up the stoves, dimming the lights, serving great Jarnac food and popping fabulous bottles of wine for the last time at our current location on Saturday 27th June 2009. We hope to see many of you here before then, including our many new Sunday Brunch fans. What next, you might ask? Well, for starters, Jarnac will continue as a “Virtual Restaurant.” This means that we’ll continue to have special events and dinners (locations to be announced) and provide our Jarnac at Home catering services and Maryann’s culinary trips to Europe. So keep checking our website. Meantime, Tony will carry on running Barramundi and his private party lounge “2nd floor on Clinton” and expects to be opening a new restaurant and bar in Brooklyn – stay tuned! Maryann is expanding her culinary tours of Italy and is in the first steps of teaming up with friend Elisa Sarno, formerly of Babbo Restaurant, to open a version of Jarnac in the near future. We would like to take this opportunity to thank you all for your support over the last 10 years. We have had a great time and share many happy (some blurred!!) memories with our customers and friends. We hope to stay connected with you, and to see you at our continuing and new ventures in the future. Thanks again and here’s raising a ‘Coup de Jarnac’ to you all and to the future.